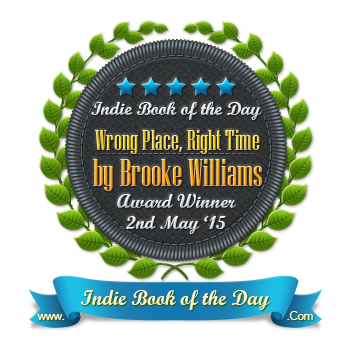 Wrong Place, Right Time re-released June 12, 2017! Paperbacks are also available and will include the short story "What Happens at the Airport"
Listen to a radio interview about "Wrong Place, Right Time" from 100.7FM KGBI The Fish in Omaha. Interview aired early December 2014. 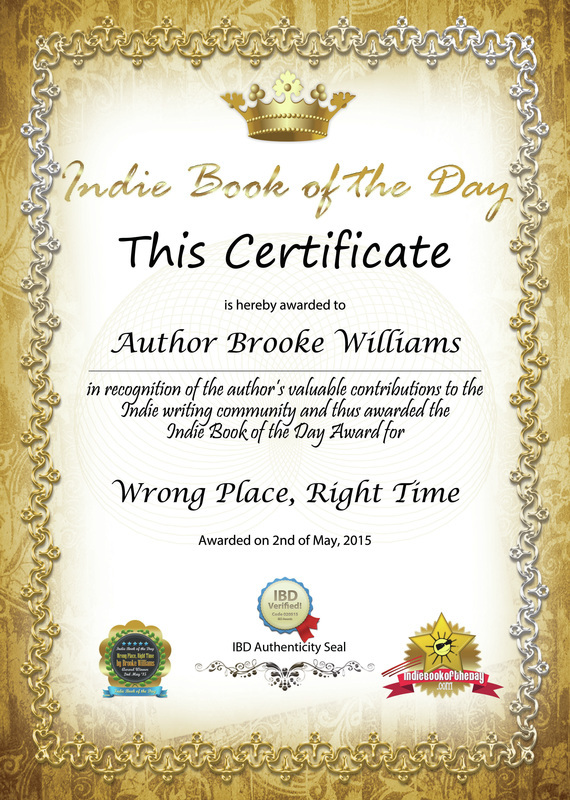 Wrong Place, Right Time is a humorous, light romance about TV traffic reporter, Kate Covington. After admitting she is in love with her best friend, Brian, Kate barges into a Las Vegas wedding chapel to stop him from getting married. When the bride storms out, Kate see that she interrupted the wrong wedding. The groom, Chad Leida, who needs to marry before turning 30 in order to inherit his family fortune, has an intriguing offer for Kate. Marry him and spend a year as his wife for a million dollars. Kate, who is greatly in debt and believes her friend has already married considers the offer. Once Kate makes her spontaneous decision, her life is on the fast track and the real adventure begins. Caught between two men, she begins to realize that though she turned up in the Wrong Place, she might have arrived just at the Right Time. 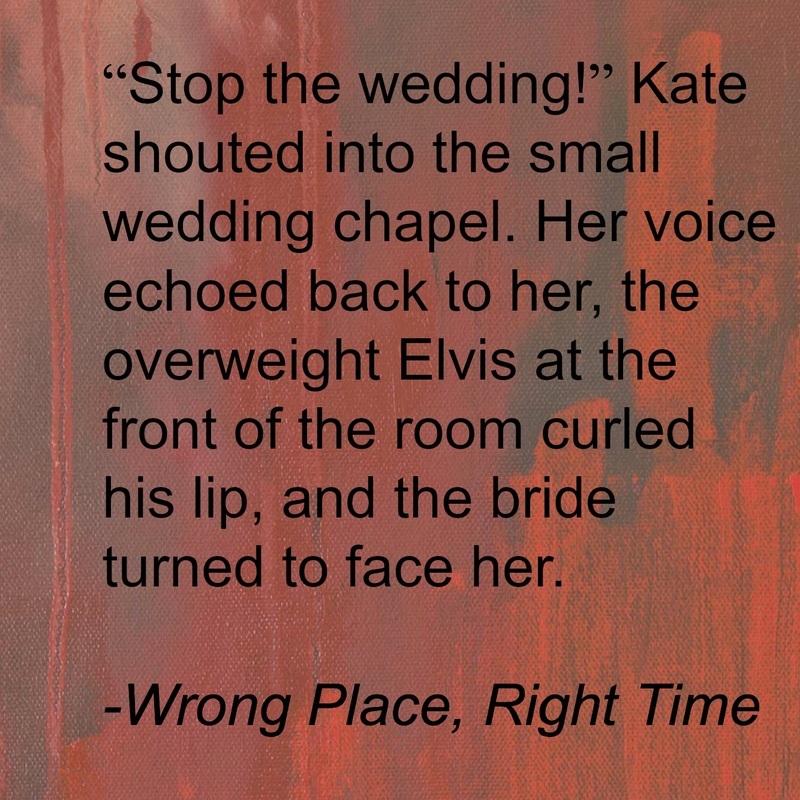 I wrote "Wrong Place, Right Time" in 2012 after attending a writing conference in Kansas City. At that conference, I met an agent who represented romance novels only. She said that romance was a great way to break into the writing industry and make a name for yourself. I really enjoyed her personality and attended all of the classes she taught that I could. In one of those classes, she taught about creating great opening lines. It was in that class that I came up with "Stop the wedding!" And "Wrong Place, Right Time" stemmed from that inspiration. I took what I learned from that conference and wrote the book, which turned out to be more of a clean romantic comedy. I couldn't believe when The Writer's Coffee Shop accepted it for publication. I never thought I was a romance author, but once I gave it a shot, I realized how much I loved writing in that genre. I was not sure what to expect out of these characters, or this book. When you start a book with a love triangle, it is hard to not choose who you want the character to end up with. I was pulled into the book pretty quickly. The interaction between Chad and Kate was definitely mysterious. Chad kept Kate on her toes, and yet even pampered her right away. I was pleasantly surprised this book has a magical feel to it. The story moves along at a good pace, the characters are easy to believe, and for me a BIG winner for the book - no foul language. The story made me feel all the good feels, I laughed, I cried and it had a great ending too!! I was able to read the print version...started it in the morning and read all day until I had finished it later that evening. I loved how heartbroken Kate took things in her own hands. She had a few stumbles along the way but ended up the winner. Wrong Place, Right Time had characters we could identify with.....the heartbroken, the one who got away, the one who wins in the end AND the cold-hearted mother! I love Hallmark movies and this would be a great book to make into a movie. Congrats, Brooke!!! Can't wait for your next book. Really really fantastic book! I had a very hard time putting my kindle down when my work breaks were over. Loved everything..the plot, the characters, the romance. Definitely recommend. This won't be the only Brooke Williams book I read.